There is a long standing tradition in Story that uses degrees or truth or falsehood to shape a tale’s complications. I made a bit of a flow chart and ran a dozen folktales through it this evening. Yeah, for fun. It’s called geeking out. I’ve limited myself here to the most accessible examples. I looked at stories in terms of progression of truth (in my values system this means left to right). Here is a story that begins with a blatant LIE that, astonishingly, is believed. The lie is perpetuated enough that the royal household is behaving as if the lie is true (filling rooms with straw to be spun into gold, etc). Fortunately someone doesn’t believe the maiden can do it (disbelieving the lie) and shows up to offer his services. He offers a truth, one might even suggest it’s a full-truth, but I still keep it at the partial level, because the terrified girl didn’t know yet all she was getting into. 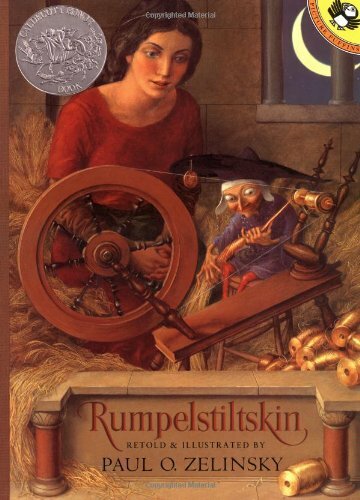 Ultimately, it is learning the full truth (Rumpelstiltskin’s name) that brings the story’s resolution. She believes a lie– that she is living as she should, in full isolation with only one visitor. She disbelieves, or at least disagrees with, the Lie when she meets her prince. After they are discovered, Rapunzel moves into partial truth, learning how hard life is outside of her tower– birthing and raising twins alone in the wilderness. When she reunited with her beloved they return together to his home (and, presumably, community life). Here she enters full(er) truth: life isn’t just hard. In spells (or situations) of silence it often seems like the obvious question is never addressed. Why didn’t the girl say her dad lied about her? Why did she agree to give up her child? 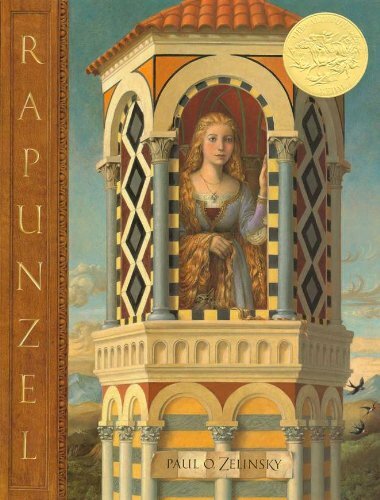 Why did Rapunzel never ask why she lived in a tower? Why didn’t the prince take her away when he had the chance (and two good eyes)? But if we’re being gracious when we ask the questions that baldly, I think we’re looking at most of our answers. These stories exist because they express familiar human experiences at a gut level. We’re afraid our reputation will fall with our family’s. Or maybe we’re afraid we’ll be blamed or not believed. If things are the way they’ve always been, what will make us question them? How does a fish learn the water’s wet? When the way we’re doing things isn’t horrible (yet), why risk changing it? In all the stories there has to come some catalyst. Some new reality enters the story and throws the orbit off, in order that it may travel in a new direction. It’s the reason the story is worth listening to: because something is about to change. In the stories with spells of silence, that silence is eventually broken, but along the path of the story there is often a process of individual maturing. What if life for the miller’s daughter was bad enough that bunking with a gold-obsessed king seemed safer? What if she rationalized that she might be able to protect both herself and her child better as queen? In the end she had the resources to win the contest. On a simple, physical level that was growth. She could (literally) answer a question now, that she could not answer before. And in a similar way I have answers now. What-ifs from a year or two years ago– what I might have done differently– are no longer relevant, because this is where I am now. I have words– names for things that have been elusive before. Without exaggerating, these are the things, like Rumpelstiltskin, that would try to steal my children; their good nature and joy. Like Rapunzel, I’ve had a few rounds of both painful and relationship-healed experiences. I am doing my very best as I’ve said in other places to Lift up my Voice and be not afraid. And I’m doing what I can to offer a safe place to speak, and a basket of words to choose from. They are the gift I have to offer: the gold I’ve found in the burnt stubble of a painfully silent time. This entry was posted in Commentary, Depression, Identity, Life and Fiction, Mental Health, Stories. You make a lot of great points here. I’ll be presenting a modified version of this essay in a public reading at the Bear Gallery in Pioneer Park next month (July). The 13th at 7p.m. Anybody local is welcome to come.